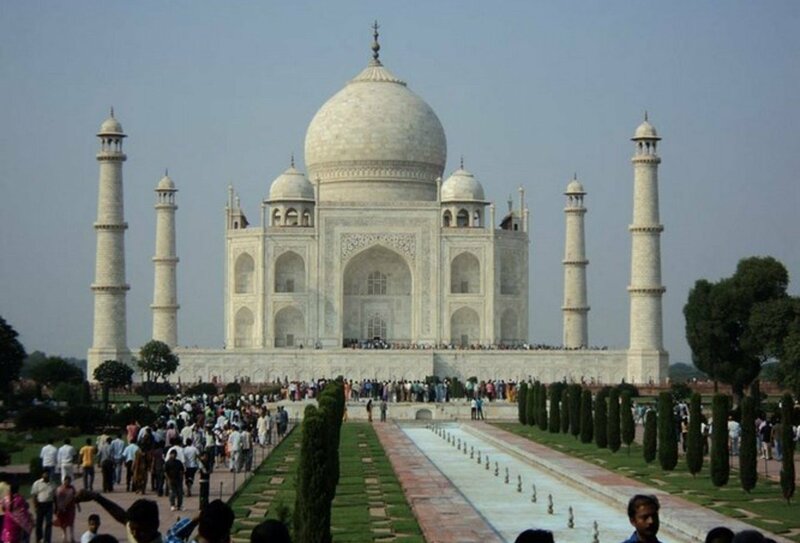 Explore the Taj Mahal in Agra! See the best of India on a shoestring on this exciting 20-day group tour. Begin and end in the buzz of Delhi, head into the desert for a unique overnight camel safari, explore the ancient cities of Jaisalmer and Jodhpur, be awed by the stunning lakes and palaces of Udaipur and watch the sunrise over the holy city of Pushkar. Head off the beaten track for an authentic rural stay in an Indian village, travel on to India’s pink city of Jaipur, visit the awesome Amber Fort, be inspired by Agra, visit the breathtaking Taj Mahal and visit Varanasi and the sacred River Ganges on this epic Indian adventure tour. Visit the stunning pink city of Jaipur, with its famous Amber Fort, and see Agra’s awe-inspiring Taj Mahal - be blown away by this wonder of the world! As there are no planned activities for today you are free to arrive in Delhi at any time. Take some time to discover Delhi at your leisure before meeting your group and guide at a welcome meeting at around 6p.m. There’s so much to see and do in Delhi you’ll be spoilt for choice! Enjoy a unique city walking tour guided by a local young person from a streetkids project and get a different perspective on Delhi! Later, visit all the highlights of Old Delhi, including the famous Jama Masjid (Great Mosque), Chandni Chowk market, a Sikh place of worship, the spice market and Connaught Place. Overnight train to Bikaner. Your overnight train brings you in to Bikaner in the early morning, a town in a semi-arid region of the Thar Desert. Set out on an exciting overnight camel safari adventure, trekking on camel back and spending the night camping under the Indian stars. Wake up to the amazing landscape of the desert. Early birds can choose to enjoy an optional sunrise viewing from the top of the sand dunes before breakfast. Travel back by camel cart and then go on a guided tour of the Old City of Bikaner. Board a local desert-crossing train for a 5.5 hour journey from Bikaner to the ancient city of Jaisalmer, India’s ‘Golden City’. Famous for its fort, this walled city is best explored on foot. You’ll enjoy two free days to do as you wish – don’t miss a visit to the fort at sunset! 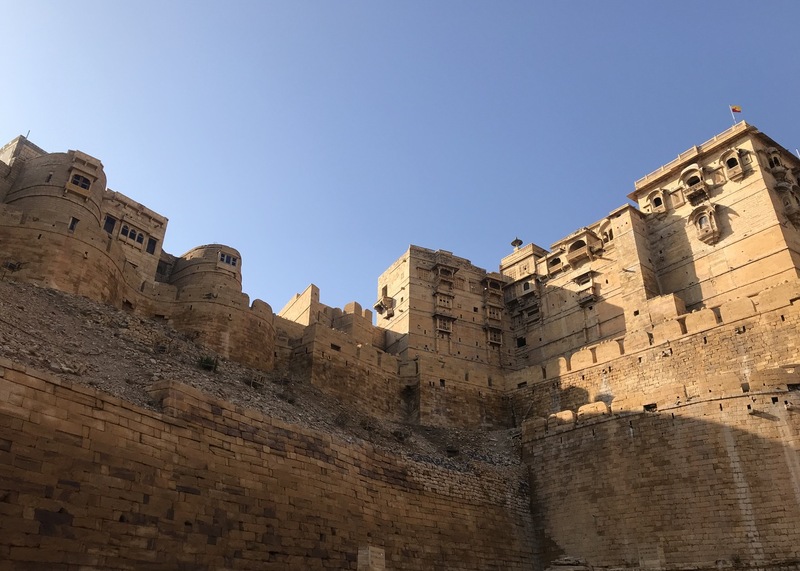 A local bus ride of 7-8 hours takes you from Jaisalmer to the bustling metropolis of Jodhpur, Rajasthan’s second largest city. Entering through one of the city’s six imposing gates, you’ll go on an orientation walk, then it’s up to you to explore the city in your free time. 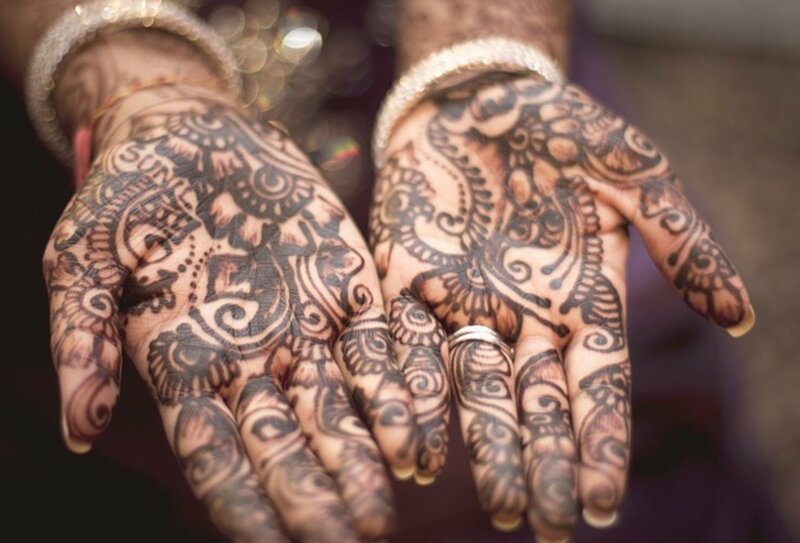 On day 8 you’ll travel on to India’s most romantic city, Udaipur. An 8-hour local bus journey brings you in to this breathtaking city, famous for its beautiful lakes and island palaces. You will enjoy a city orientation tour with your guide and then the rest of your time is free to explore the wonders of Udaipur. Travel on by local bus to the pilgrimage site of Pushkar today. Enjoy an orientation tour around Pushkar, which takes you to the Lake, the ghats and the 14th Century Brahma temple. Opt to join a cooking class, snap up some souvenirs in the bazaars, or opt to jump on a camel and head out for a desert sunset ride. Before you say goodbye to Pushkar, you can climb up before dawn to the hilltop Savitri temple and watch the sunrise. Experience a slice of rural life in Rajasthan in the village of Tordi Sagar. You will be given a tour of the area with a local guide and learn all about this fascinating part of India. From the village you can explore the hills on a hike or even join an optional camel cart ride into the dunes to watch the sunset. Before you leave the idyllic location of Tordi Sagar you’ll be treated to a delicious local lunch. A 4-hour drive takes you on to Jaipur. Founded in 1728, Jaipur is known as “The Pink City” due to its beautiful pink sandstone, and the city’s wide streets and amazing history is just waiting to be explored on a guided orientation walk. Enjoy a guided tour of the amazing Amber Fort, which sits in the surrounding hills only 15km from Jaipur. 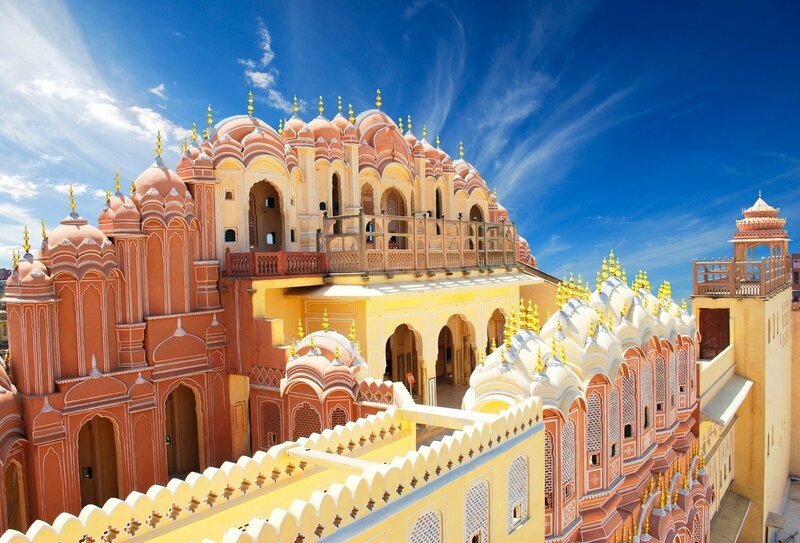 Visit the beautiful buildings and gardens of Jaipur’s City Palace and museum. You also have the option to make a brief stop-off at the Hawa Mahal (Palace of the Winds) for a small extra cost. An early morning train ride (of around 5 hours) takes you to the Muslim city of Agra for a guided visit to the iconic Taj Mahal. Opt to hop on a cycle rickshaw and visit the Lal Qila or Red Fort and the ‘Baby Taj’ to round off an exciting day in Agra. 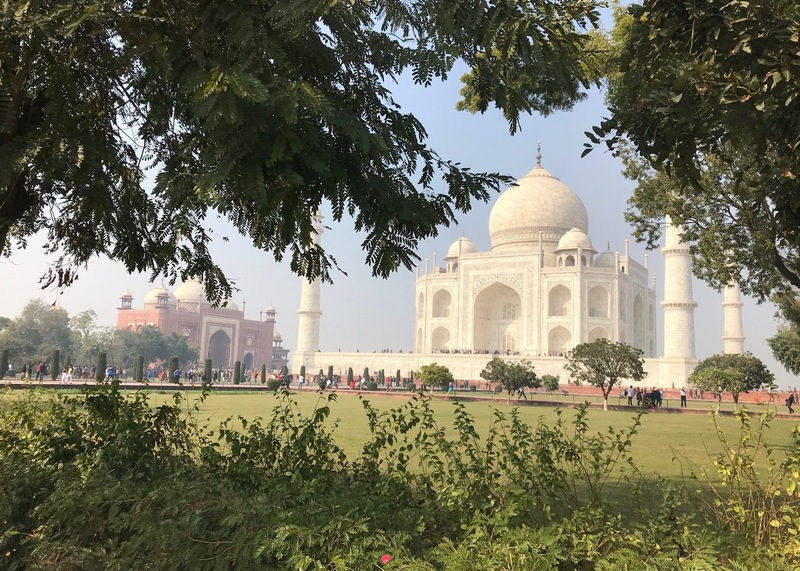 Enjoy a free day exploring Agra today and then board an overnight sleeper-bed train (13 hours journey) to your next essential Indian destination, the amazing holy city of Varanasi. 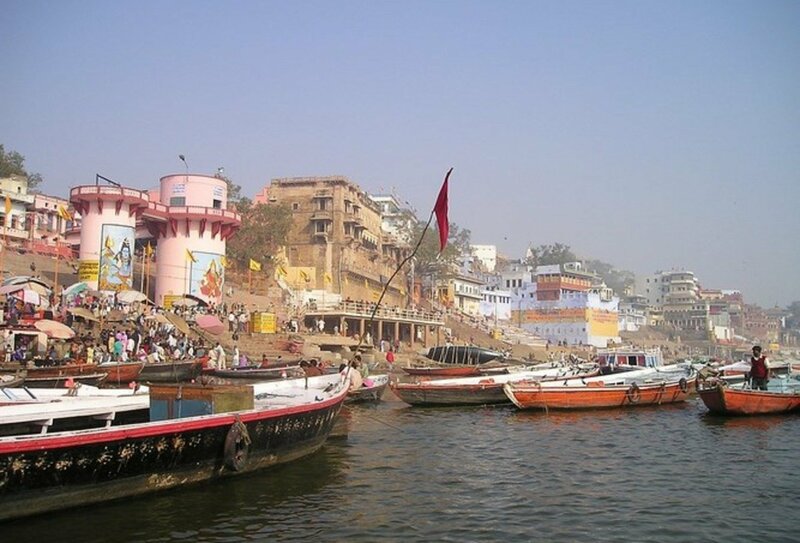 Your overnight train arrives in the pilgrimage city of Varanasi in the morning. Wander through this unique city and shop or explore to your heart’s content. Set of the banks of the sacred River Ganges, this evening you will take an incredible boat tour on the river and take part in a traditional candle and flower ceremony. 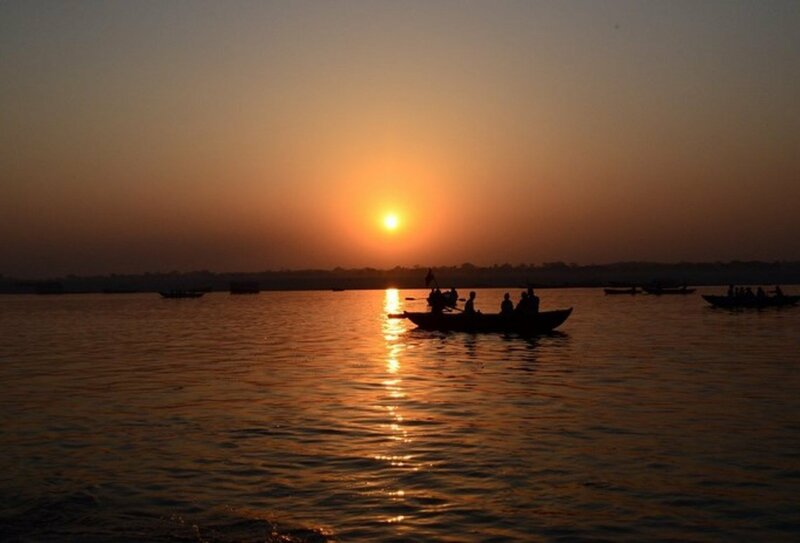 A sunrise boat tour on the extraordinary River Ganges kicks off your second day in Varanasi. Watching the sun climb into the sky from a boat on the river is an unforgettable experience! The rest of the day is free time for you to make the most of this holy city. Another full, free day to relax in Varanasi, before boarding an overnight sleeper-bed train back to Delhi. One final free day to discover all the sights of Delhi and enjoy a final night out with your newfound friends! Your tour ends today in Delhi and you are free to depart at any time. Say goodbye to your new travelling buddies and look back on all your magical memories made in inspirational India! You should arrange your arrival into New Delhi Airport on day 1, in time to make a 6p.m. welcome meeting at your hotel. Please note, we can arrange a airport transfer for you when you arrive. Please contact a Travel Advisor for more information. 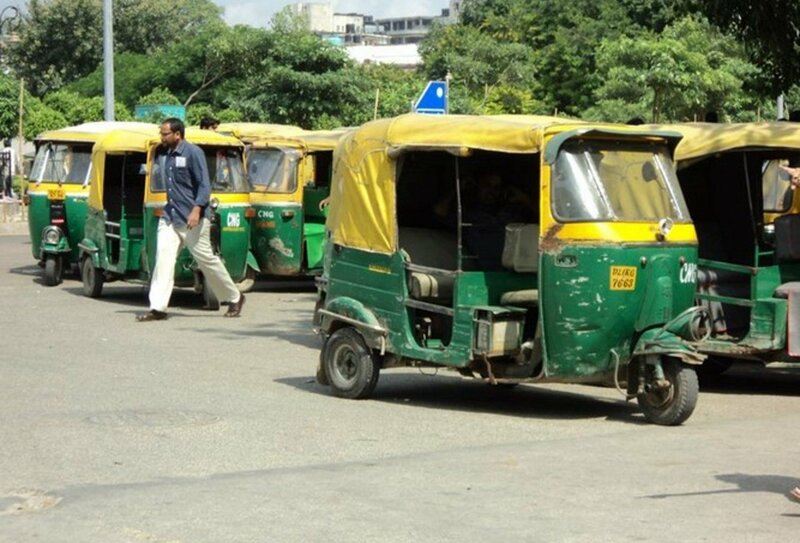 If you are arranging your own transfer we recommend you only use the prepaid taxi service offered by the Delhi Traffic Police at the airport, located at a designated counter outside the baggage-claim area. You pay your fare in advance at the counter, which should be between INR200-300 (approx £3). Only give your driver the payment slip when you reach your destination and don’t add any payment, other than a small optional tip. 19 nights’ shared accommodation are included on this India tour. Some nights will be spent on overnight transport. 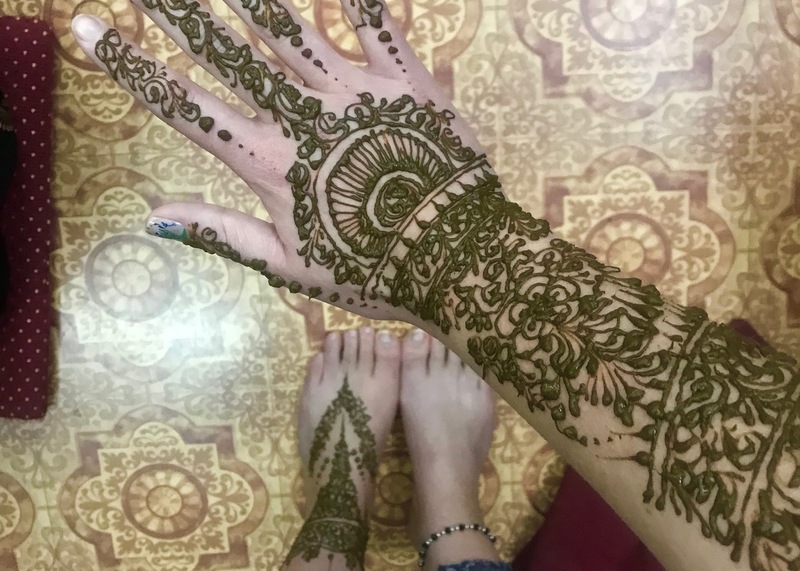 Travelling overnight on trains in India offers a unique experience, but is more basic than train travel in the West and there is a risk of delays. There are no restaurant or buffet facilities on Indian railways, but on long distance trains an attendant will appear in your coach and ask you if you would like to order food. Regular stops are made at stations where food is also available and on some trains many vendors board the train selling chai, cold drinks and crisps and biscuits. We also recommend that you bring your own toilet paper and hand wash soap or liquid when travelling on the overnight train and a chain and padlock to secure your bags (readily available at all Indian stations). 2 breakfasts, 2 lunches and 2 dinners are also included on this tour. Please allow USD350-400 for meals not included. You will need to have a tourist visa in order to travel to India. Standard Indian visas are valid for 6 months and allow multiple entry. Visas MUST be obtained in advance, before leaving the UK. Please contact us for more details. Before leaving the UK you should also make a trip to your GP in order to discuss your travel plans. As vaccination and medication requirements vary between different Indian regions, a detailed discussion of your travel plans and intended destinations is highly advised. Physical Rating: Light. The activities on this trip are suitable for most fitness levels. Anyone going to volunteer in school in Kerala? Getting excited about volunteering in a school in Kerala for the next 3 weeks, anyone on here going to be there? India on a Shoestring - how much spending money? ?